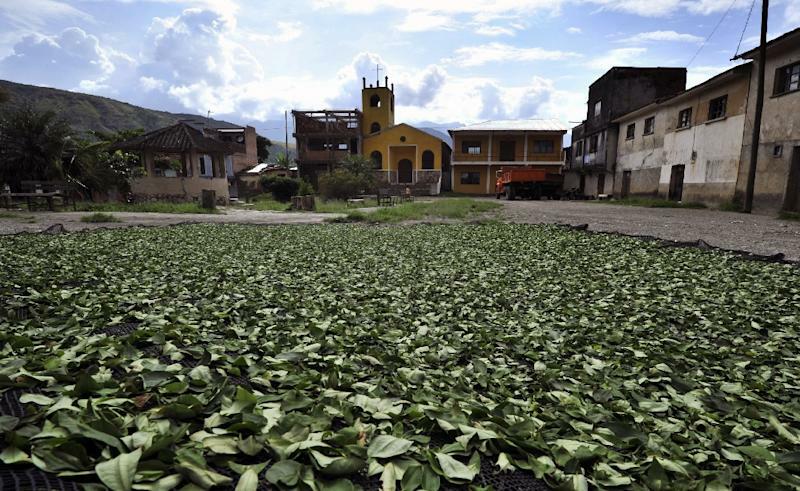 La Paz (AFP) - The amount of farmland in Bolivia dedicated to cultivating coca, the raw ingredient for cocaine, fell by 11 percent last year, the fourth straight drop, the United Nations said Monday. The world's third-largest producer of the plant had 20,400 hectares (50,400 acres) of coca farms in 2014, a drop of more than a third -- or nearly 15,000 football fields -- since 2010, said the head of the United Nations Office on Drugs and Crime in Bolivia, Antonino de Leo. 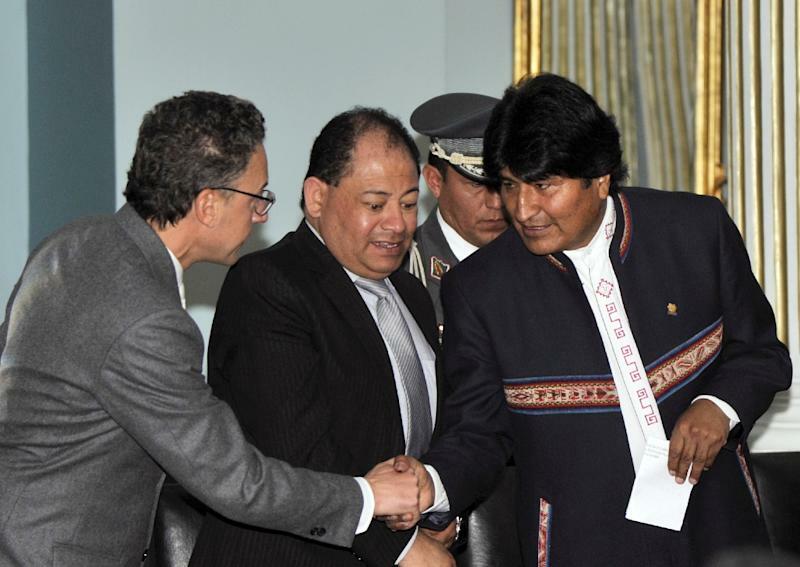 President Evo Morales said the new figures showed the US-led war on drugs was less effective than his government's softer approach, which allows limited coca farming and works with farmers to help them develop alternative crops. "Eradication and fighting a war on drugs with military bases is not the solution, as we've seen in some Andean countries, where there are US officials waging the war on drugs," he said. Those other "Andean countries" include Colombia and Peru, the world's top two coca producers, which have been close allies of the United States in its fight against illegal drugs. Colombia has received $9 billion in US funding since 1999 under "Plan Colombia," a military and economic cooperation program aimed at combating drug trafficking -- mainly by force. Bolivia was once considered a close US ally in the war on drugs as well. But that has changed since Morales, a former coca grower and the country's first indigenous president, came to power in 2006. He has defended Bolivians' right to grow coca to chew the leaves, make tea and use it in traditional indigenous rituals. After clashing with Washington over drug policy and other issues, his government expelled the local representative of the US Drug Enforcement Administration in 2008, along with the US ambassador and USAID representative. Bolivia currently allows 12,000 hectares of legal coca production, though Morales is pushing to raise the number to 20,000. In Colombia, coca cultivation surged by 44 percent last year, to 69,000 hectares, according to the UN. In Peru, it fell by 14 percent to 42,900 hectares.